The lives of farmers and brewers are fraught with uncertainty. Growers worry that weather, pests and shifts in international commodity markets could render their crops unsellable. Brewers, in turn, hold out hope those same raw ingredients will yield exemplary beers. Some tolerate this level of risk. Christian DeBenedetti invites it. 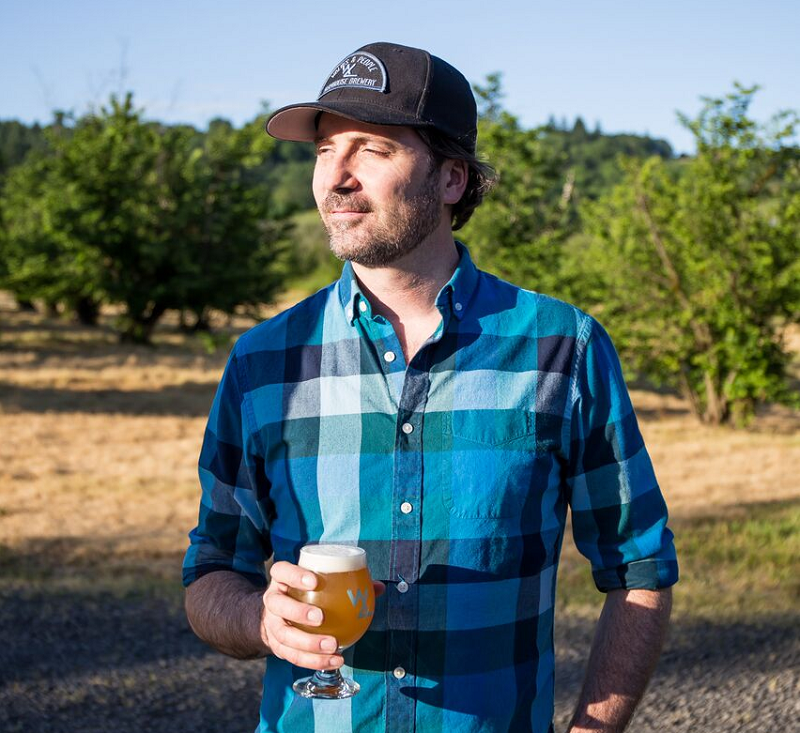 The founder of Wolves & People Farmhouse Brewing in Newberg, Oregon, has been a devotee of farmhouse brewing since he spent a year traveling the world and studying traditional brewing practices. His techniques can draw complex, exciting flavors from local resources—if everything goes well. If it doesn’t? See above. Yet DeBenedetti’s upbringing well prepared him for this life. He grew up on the hazelnut farm that now houses his brewery. He watched his parents struggle with eastern filbert blight, a fungus that decimated orchards throughout the Willamette Valley beginning in the 1980s. But there’s no doubt he loved the farm life, as he relays stories of summer nights spent chasing his cousins and other farm kids through the property and barn. 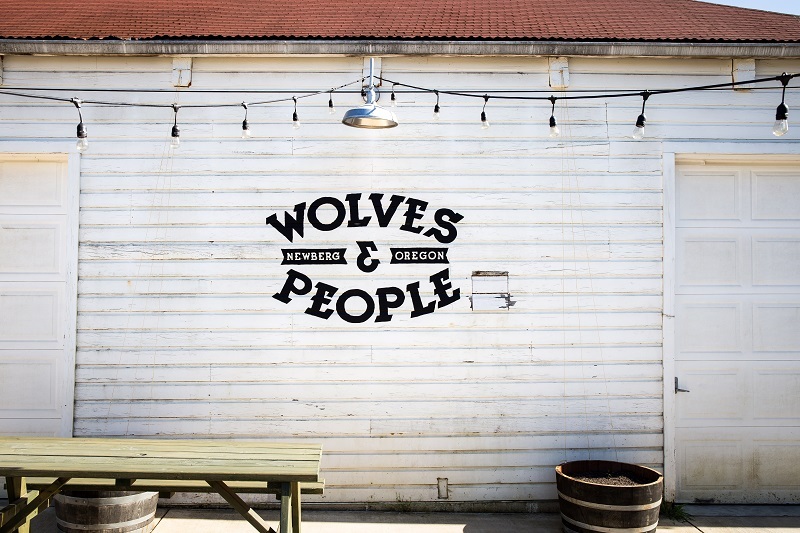 The brewery’s name harkens back to a game they invented called Wolves and People. DeBenedetti describes it as “a nighttime game of tag similar to Red Rover.” As an adult he learned that part of the hop plant’s Latin name–Humulus lupulus–is derived from the word lupus, which means “wolf.” It seemed only appropriate to name his new passion after this intersection with his youthful years. One of Wolves & People’s first beers combined hazelnuts and Oregon white truffles to create a table stout with rich, nutty aromas and flavors. Since then DeBenedetti has scavenged a number of other edibles, including plums for barrel-aged beers. DeBenedetti used farm-grown figs in a beer called Fig Getit and blackberries for one christened More Aplomb. His foraging expeditions often extend to wilder plants on the property. “I wouldn’t say we’re raising Douglas fir, but we’re pulling some from our trees,” he says. The needles gave piney flavor to Farmer Tan, a dry-hopped saison, as well as to Field’s Edge, a beer created in collaboration with The Commons Brewery in Portland, Oregon. Dandelion roots and leaves added pungency to Wit Large, created in partnership with Allegory Brewing in McMinnville. DeBenedetti has planted peach, apricot and cherry trees that he hopes will eventually yield fruit for his beers. In the meantime, he turns to farms within a 2-mile radius when he wants to experiment with other flavors. Ranee Solmonsson with Sunshower Hill Farm was a childhood playmate who now supplies golden and red raspberries, rhubarb, lemon verbena and Stella black cherries (which he smoked and added to a dark saison made with a brewer from Germany’s Freigeist). Incorporating farm-fresh fruit into beer comes with a certain risk. Produce has its own yeast and sugar that can irreversibly alter a beverage. “There are all sorts of ferments that can go on controlled or uncontrolled,” DeBenedetti says. Acquiring the fruit also poses challenges to the brewing process. DeBenedetti and his staff of one do their best to plan their brewing schedule around the seasons by focusing on beers that will blend well with berries in early summer and those that will do better with stone fruit later in the year. But there’s no way to predict when Mother Nature will deliver a ripe product. Some days they come into work planning to brew and end up scaling ladders instead. But he wholeheartedly feels the reward outweighs the headaches. This year, for the first time, DeBenedetti crafted a beer with strawberries, which is a dicey proposition. Once the dry-hopped sour was ready to leave stainless steel, it went into puncheons previously used for pinot blanc that DeBenedetti acquired from a friend at nearby Anne Amie Vineyards. Combining all these elements could have been a disaster. Instead, Wolves & People was able to serve a blush-colored, puckery brew called Jarrebees (which means strawberries in a Flemish dialect) that wowed tasting room visitors. The focus on incorporating site-sourced produce into beer also ties into his larger vision for using farmhouse brewing to keep family farms profitable and operational. Agrotourism is already well-established in the wine and cider industries, and that’s brought greater awareness to the importance of supporting farmers. Wolves & People plans to host beer pairing dinners and other events as a way to draw more people to the place where delicious meals and beverages begin. Sophia McDonald is a food and beverage writer based in Eugene, Oregon. – the sour described was 100% fermented in oak puncheons, not stainless steel, using a mixed culture we propped here and consisting of both wild and conventional yeasts, and was not bottled but served on draft only. After primary in oak it was dry-hopped with Mosaic and then divided into two batches, one which was aged on local strawberries in steel (Jarrebees) and one which was served on draft as a dry-hopped golden sour called Toeval (meaning ‘chance’, or ‘happy accident’). In both beers the defining tartness comes from at least one potent strain of Pedio, with a bit of Brett brux present as well. – Farmer Tan is a grisette with Doug fir tips and dry-hopped with Oregon-grown Cashmere and ought to return in June.